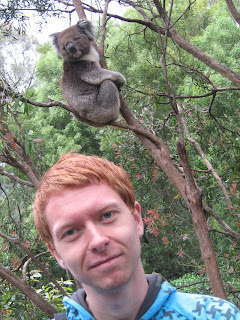 This photo was taken briefly before the vicious koala attacked the Icelander and tried to eat his ears. Luckily, an older woman with a purse witnessed the event and was able to hit the koala with her purse, leaving the koala afraid and disoriented, and finally retreated into a nearby tree. The Icelander now suffers from a rare neurological disorder called foreign accent syndrome. 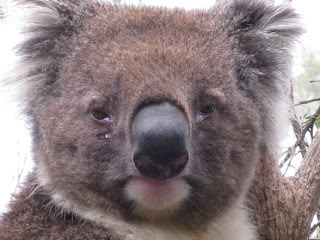 Koalas are cannibals and can be quite vicious. This entry was posted on laugardagur, nóvember 29, 2008 at 10:26 e.h.. | You can skip to the end and leave a response.